Providing you the best range of Commercial Hood Type Dish Washer, Commercial Conveyor Type Dish Washer, Commercial Pot and Pan Washer, Commercial Front Loading Dishwasher, Commercial Conveyor Dish Washer and Commercial Glass Washer with effective & timely delivery. Relying on the excellent support of a proficient team, our company is well reckoned as the topmost name of an excellent quality Commercial Conveyor Type Dish Washer. It is widely used in kitchens of hotels, restaurants and canteens for washing dishes. Wisely manufactured under the guidance of experts using supreme quality materials, this dish washeris available for clients in different specifications at affordable prices. Speed 1000 to 3200 dishes/hour. Our company is famous in the market as a certified name occupied in offering of Rack Conveyor Dishwasher. Rack Conveyor Dishwasher is a continuous washing system. Machines are highly energy efficient and ecofriendly. Ideally used for Industrial canteens, hospitals, banquet halls, hostels, etc. Our conveyor dishwasher is designed by our professionals as per the set industry norms using supreme grade materials. Furthermore, to attain maximum satisfaction of the patrons, our range is delivered to their destination in stipulated period of time. Output Capacities range from 1000 to 3200 dishes/hour. We are counted amongst the foremost name of an extensive range of Hood Type Dishwasher. Hood type machines are floor standing machines. Used for washing plates, glasses, cutlery, trays, etc. Extensively used in restaurants, coffee shops and hostels. Furthermore, proposed dishwasher is stringently monitored during manufacturing process to ensure its flawlessness. Thisdishwashercan be availed from us in several designs, sizes and other specifications at the lowest price. Output for plates vary from 480 to 1170 plates per hour. To keep the client satisfied, we offer high quality Commercial Hood Type Dish Washer that is rigidly tested on various quality parameters. 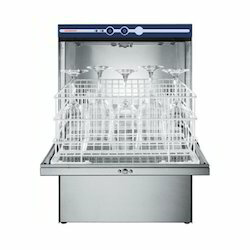 Our dish washer has gained huge demand in the market owning to their high quality and rapid performance. 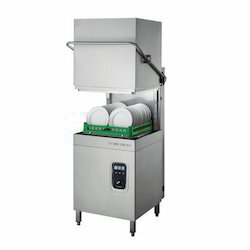 Thisdish washer is featured with conveyor belts for movements of utensils & dishes while cleaning in various hotels and canteens. 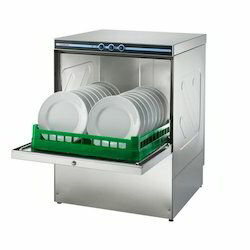 This dish washer is given in number of specifications within a given time to customers. 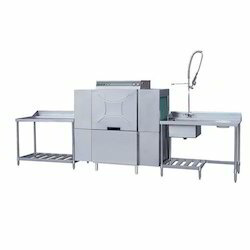 Along with our range of high quality products, we also supply and export top of the line Hood Type Dish Washer. These hood type dish washers are best for homes, hotels, restaurants and many other commercial establishments. 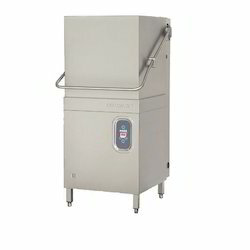 Our hood type dish washers are very smooth and durable with excellent capacity for clean and hygienic dish washing applications. These hood type dish washers are very reliable, rust proof and abrasion resistant. 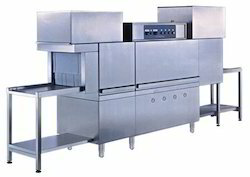 Clients can avail from us our range of hood type dish washers at market leading prices. With the help of our vast market knowledge, we are capable of manufacturing and exporting an impressive line of Commercial Pot and Pan Washer. Our washers are precisely incorporated by making use of high quality materials that are sourced after a close market inspection. All these washers are specifically used for washing and cleaning of pans, containers, pots and bowls. The offered range of Pot and Pan Washer has proven its excellent performance in many industrial canteens, hospitals and large bakeries. Front loading heavy duty and side loading machines available. With the support of our excellent and dexterous teammates, we have been delivering to clients the best quality range of Front Loading Dishwasher. In these dishwashers, stand and under counters are attached in a stylish way. 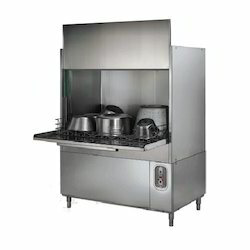 All these dishwashers are used in different coffee shops, small hotels, bars and restaurants specially for washing cutlery, plates and glasses. Moreover, we deliver the range of Front Loading Dishwasher to the clients in different capacities and specifications. 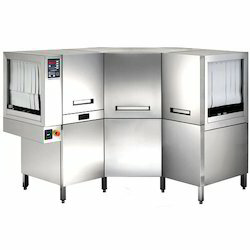 Commerial Glass washers are machines best designed to clean glasses delicately ensuring quality and hygiene. Best used in fruit juice shops, pubs and bars. 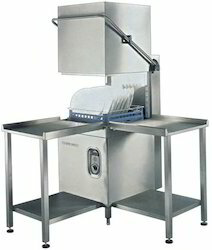 We are offering Commercial Conveyor Dish Washer to our clients. We are offering Flight Type Diswasher to our clients.